I was expecting today to be a tedious stretch of road walking. I could not have been more misguided. 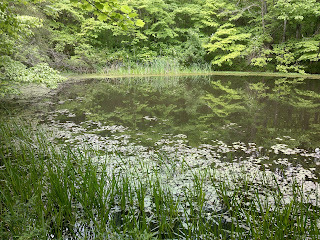 What actually unfolded beneath my feet was one of the nicest 4.2 miles of woods trail a hiker could hope to experience. How could this happen? 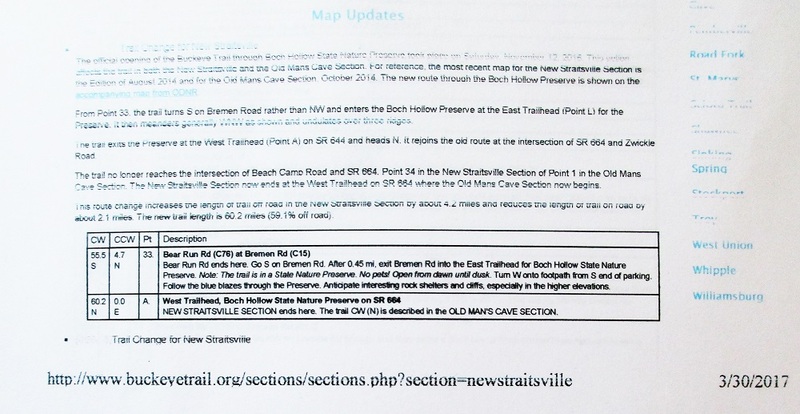 Well, I was carrying the latest Buckeye Trail official map (dated August 2014). But it was outdated, and the Trail web site said so. The wonderful new bit of trail through Boch Hollow State Nature Preserve had opened on November 16th, 2016. Yes, I had done my due diligence--on paper at least. 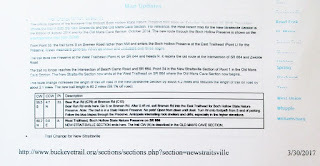 I had gone to the Buckeye Trail Association web site and printed the latest trail updates. Problem: they were sitting back in my motel room. I hadn't looked at them, and I was only carrying the outdated map as I hiked. Here's my proof, complete with the date stamp--the relevant bit of the page I printed back at home on March 30th and then stuffed among my trail papers and forgot to consult. "You can lead a horse ... a thick-headed old hiker ... to the current trail info, but you can't make him read it." 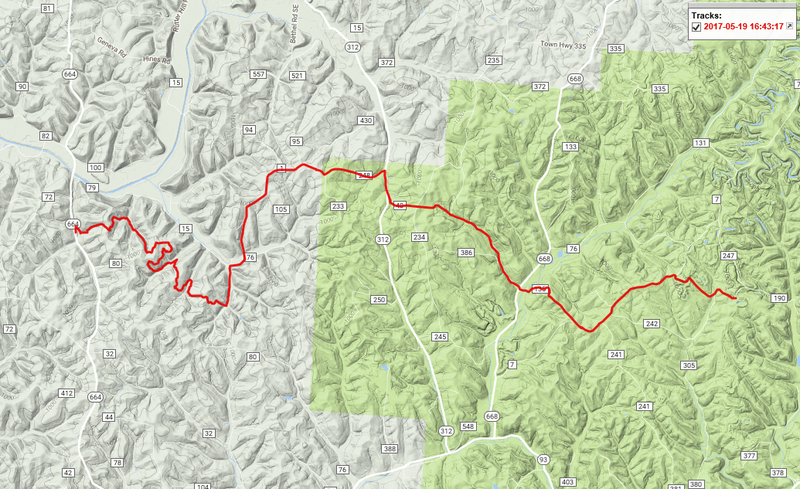 So today I was expecting to be spanning a gap between nice trail segments in Wayne National Forest and the Bill Miller Trail at Lake Logan State Park, and I expected to be bored. Fortunately my August 2014 map did mention a parking place along Beach Camp Road--a trailhead into some local trails, it seemed--just a place to park my car. When I got there I walked over to the kiosk just to read the information. 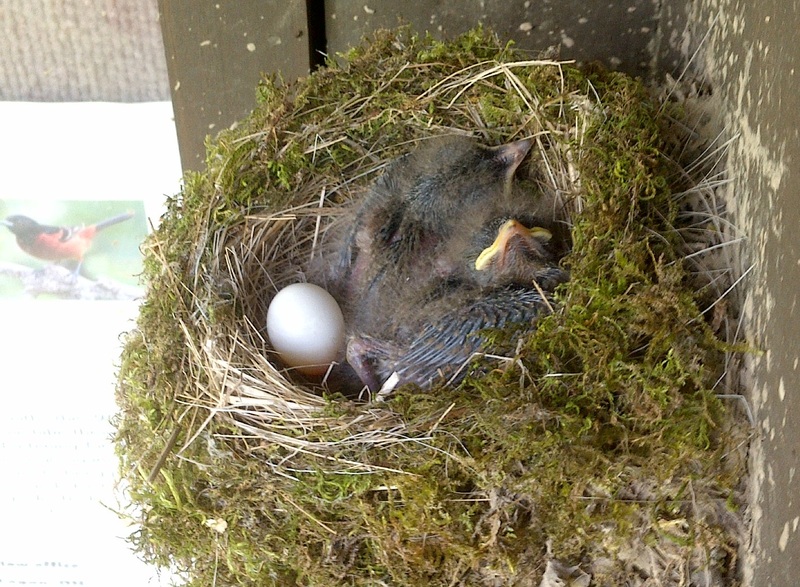 First I noted this cute moss-adorned nest with little chicklets and an unhatched egg perched under the protective kiosk roof and right beside an interpretive note about local bird life! 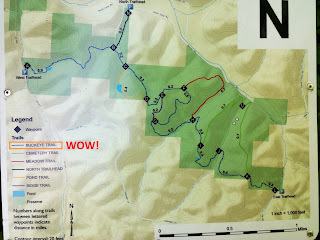 After marveling at and photographing the nest I wandered over to a nearby trail map. Here I've suitably annotated it with my shocked reaction. What a pleasant surprise. I moved over to the west trailhead and marched into the woods. It was fresh new trail, perfectly blazed and with maps identical to the one above at every trail junction. 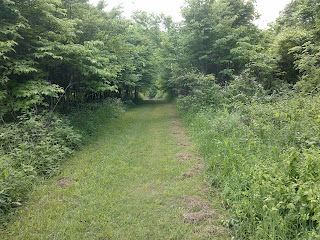 At every point where maintenance cart paths or old roads crossed the trail there were clear markers saying 'Not a Trail'. Even a thick-headed old half-blind hiker couldn't lose the trail here. 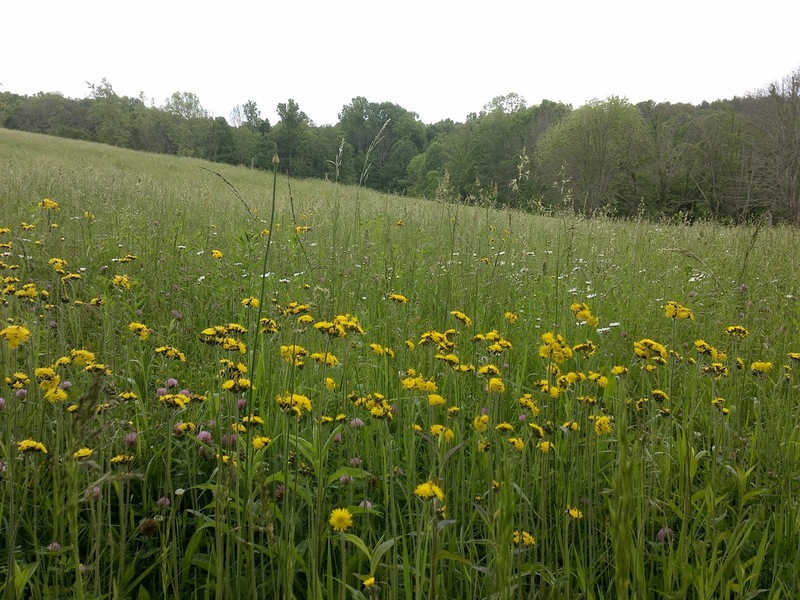 The trail passed through young succession areas--meadows beginning to grow over with new forest. Here the Preserve maintainers keep the trail as closely mown as somebody's lawn. Elsewhere the trail meanders through mature forest that hasn't been disturbed for decades. 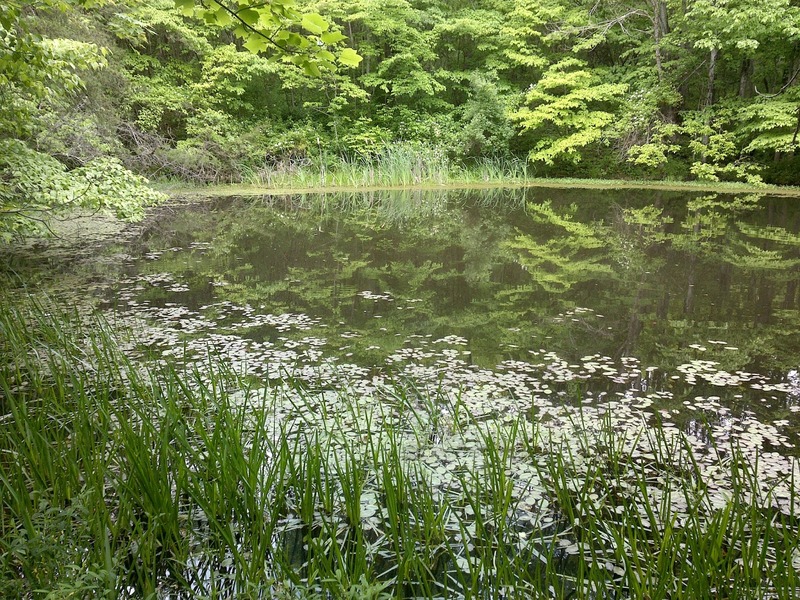 It passes two serene little ponds. This one was the best. 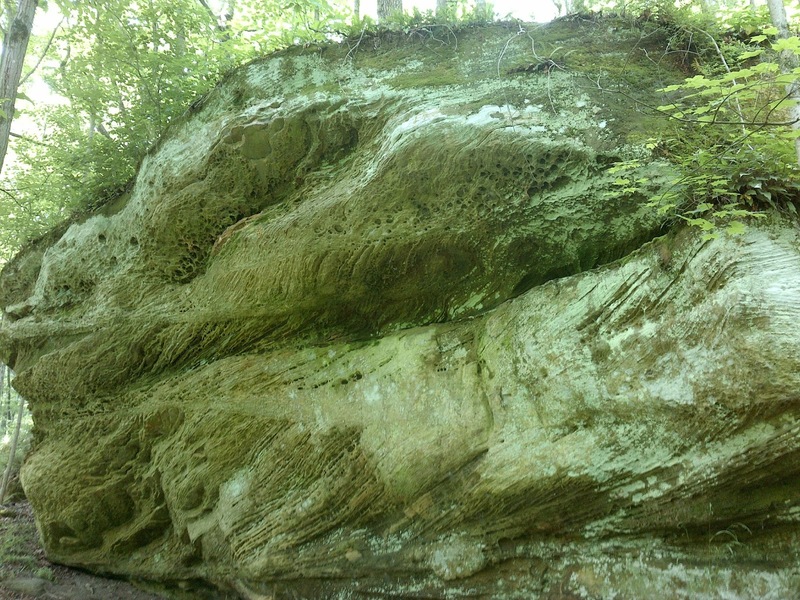 And it skirts what they call rock shelters (overhangs - see photo up top) and great sandstone rock walls, foreshadowing the upcoming Hocking Hills trails. The rest of the day I was indeed on roads. But the afterglow of Boch Hollow stuck with me, and I wasn't bored at all. 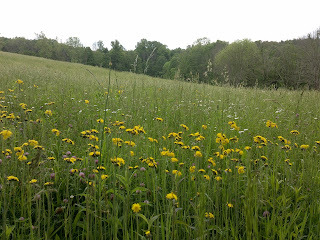 It was quiet country and choirs of May flowers in the grassy fields were singing. 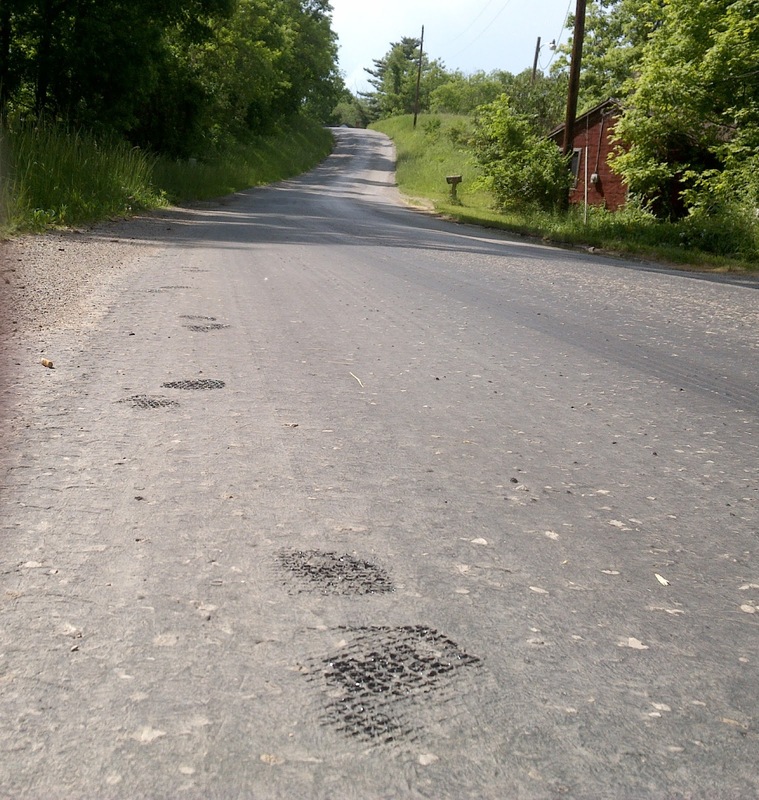 It was a hot day--so hot that I found myself leaving clear evidence of my Personal Continuous Footpath. My North Carolina connections must have been in play here. I left today's hiking as a real "tar-heel". 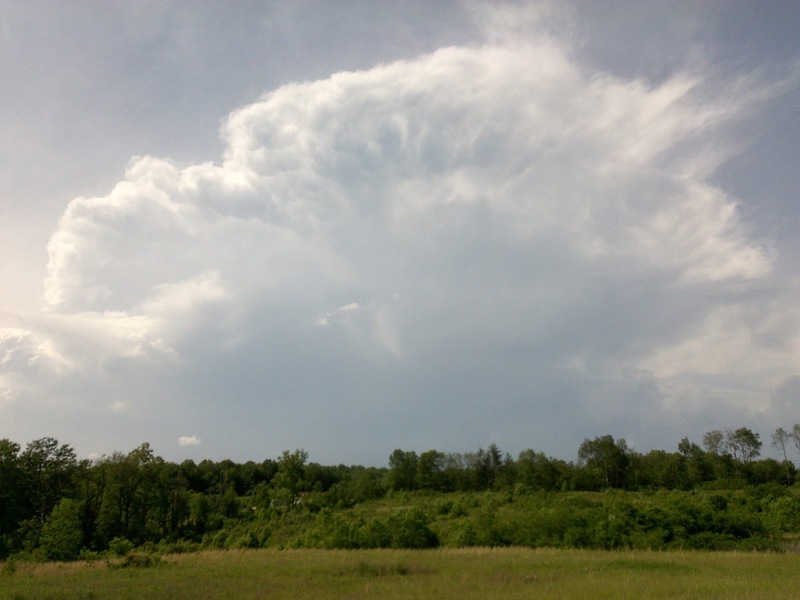 The heat began to boil up into thunderstorms. Fortunately, except for a brief cooling sprinkle, the storms held off until I was driving back to my motel. 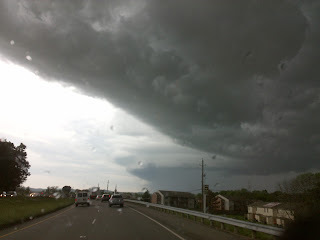 But then it looked as if Judgement Day had arrived. We were under a severe storm warning. But I got safely to my room. 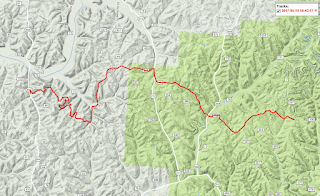 Here's the static map of the day's hiking and the Wikiloc interactive map. Wow, I've got to get up there to Boch Hollow. Looks amazing! My wife is from Ohio, and we get up there often, so I need to take the hiking gear for sure. I hope you can get up there to check it out, Kenny. 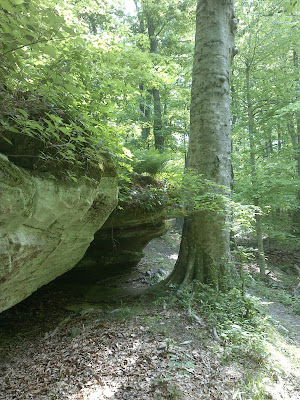 And I expect to find some more great trail ahead in Hocking Hills, including the Grandma Gatewood Trail, dedicated by the grande dame of the AT herself.